JohnMasone.com - Got My New RX-8! Finally. 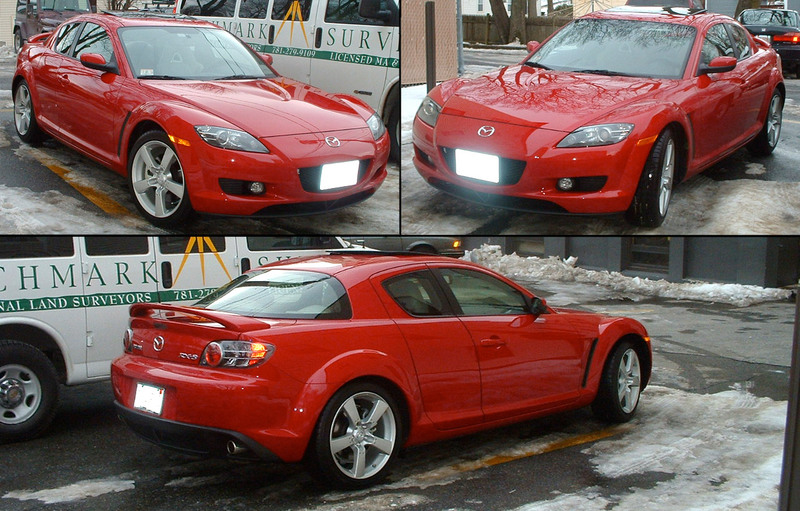 After many many months of dealing with a car I hate, I'm finally back in another RX-8. And I LOVE IT! For the first day, it was a little weird. I hadn't driven one in so long. And it drove so much rougher than my Acura. But by the second day, I was back. And now, the 3rd day, clearly there is no other car for me. So anyway, here are the first pics of the car. They aren't great, but there won't be any more for a while since the car is already completely filthy with sand and salt.